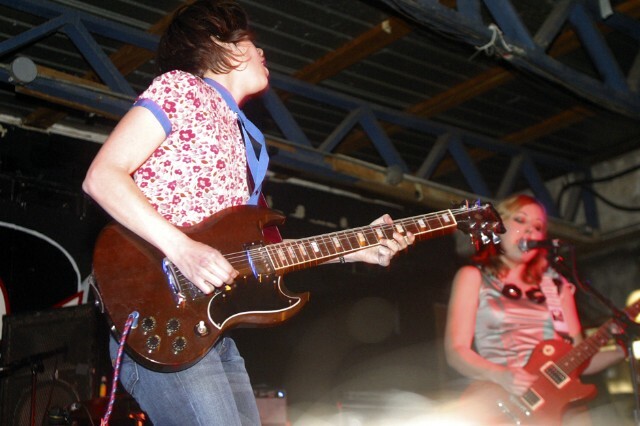 Did you ever imagine that Sleater-Kinney would be the next high-profile musical act to pull a Beyoncé? If you did, congratulations, because today that dream has come true with the digital rerelease of the punk-rock group’s seven studio albums in completely remastered editions. Although the Washington-based band stopped performing together back in 2006, Sub Pop has decided to celebrate the group’s legacy with the massive “Start Together” box set in advance of the 20th anniversary of the “Modern Girl” musicians’ self-titled debut album. Though the remastered versions are availble on iTunes and Amazon right now, the complete physical box set — which will come with a 44-page hardcover book, all seven albums on vinyl, and a “limited edition print” — will start shipping on October 21. Could this be a precursor to the Sleater-Kinney reunion that fans have been hoping for, and that Carrie Brownstein has teased? “I would be curious to know what the rest of the story is with that band,” she told Stereogum earlier this year. Consider our curiosity officialy piqued.